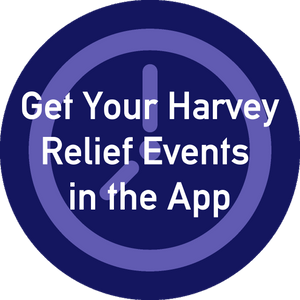 If you are a caregiver of or individual with special healthcare needs, and you've been personally impacted by Hurricane Harvey, CareStarter can help! 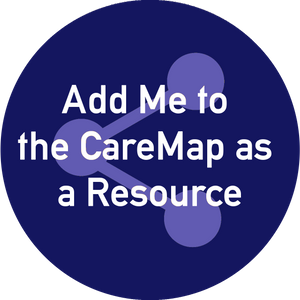 We send out free resource lists called CareMaps to anyone who requests it - our CareMaps are delivered as PDF documents by email, and via our free app. 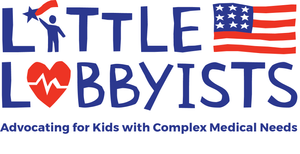 A CareMap is a resource list of active organizations, companies, and information in a given geographic area, so we can tailor that list to what you're needing and what is accessible. 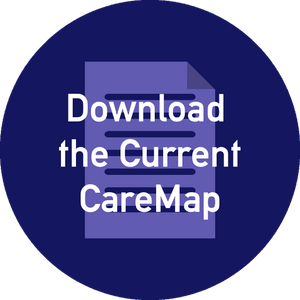 The CareMap is accessible in two ways: via PDF, which is attached to the email notifying you of the CareMap delivery, and in the HIPAA-compliant CareStarter app in the Lists section. Each resource includes any relevant contact information, allowing single-click connection with any resource. 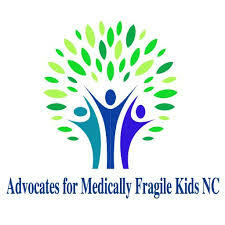 In addition, each resource on a list may include a note about the service provided, helping you know what to expect. How are you using my contact information? Your phone number and email address will only be used by the CareStarter team in the ways described in the form: if you opt to receive updated CareMaps, we will continue to send those to you when they become available, otherwise, you will receive the single CareMap you request. Your information will never be sold, nor will it be used for unrelated advertising. 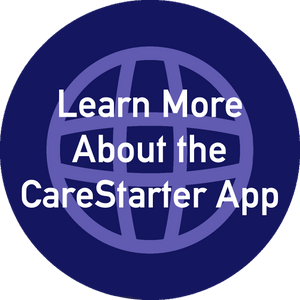 If you decide to sign up for the CareStarter app, which allows you to browse for further resources, access your CareMap, search for events in the area, among other benefits, you will be added to our mailing list. 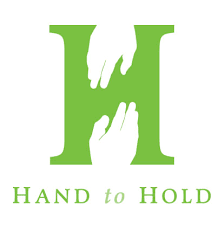 Our mailing lists include information about how to use the app, and other similar caregiver-focused content. Do I have to be a CareStarter user? No! While we love new users, our main priority right now is ensuring everyone has access to the information they need. You have no obligation to download the app, which is why we're attaching a PDF to each deployment email as well as keeping it on this page. The benefit of using the free app is that all of the CareMaps you receive are stored. You don't have to dig through your email inbox to find past CareMap. You can also save the resources you want to use to your own Lists to streamline your experience. Our CareMaps are made possible by the tireless efforts of those providing services, and the many individuals and organizations working to facilitate coordination between groups and access to resources for those impacted by the crisis caused by Hurricane Harvey. 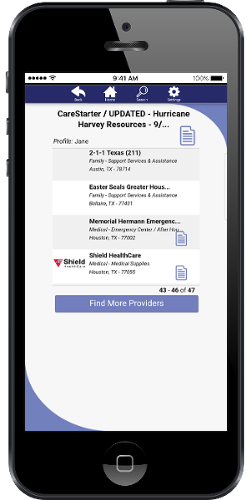 In addition to those organizations we have had the opportunity to collaborate with, our partners allow us to provide the app free of charge to caregivers. Visit the page about Our App to see more information about our partners!